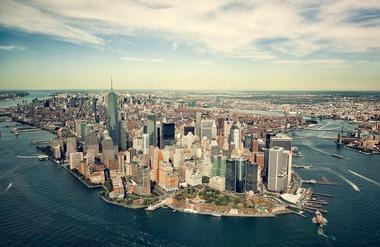 New York City is bustling with entertainment, food, art, and energy. 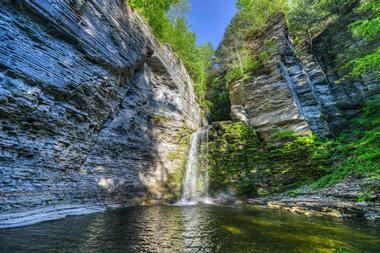 However, there is so much more to the state of New York than just the world-famous city that bears its name. 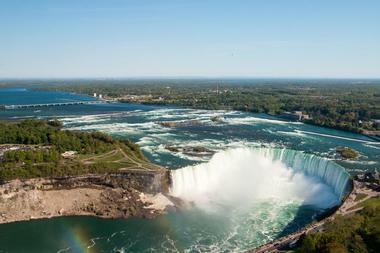 The spectacular Niagara Falls draws millions of visitors each year. New York has played a central role in the nation’s history and many monuments and museums remind visitors of that history and provide a glimpse into the past. 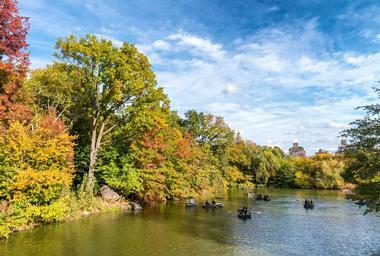 Here are the best places to visit in New York, including the Catskills, Fire Island, Albany, Saratoga Springs, Rochester and Montauk. There are enough cultural events to keep any visitor busy, including iconic Broadway Shows. Of course, no trip to the Big Apple would be complete without a visit to the Empire State Building, Times Square, and the Statue of Liberty. 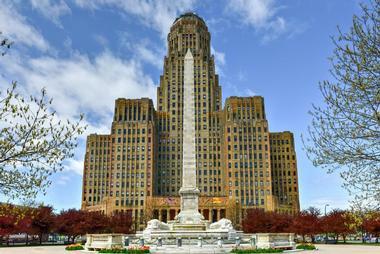 With fantastic food, events, attractions, and more, visitors had best plan to stay awhile. 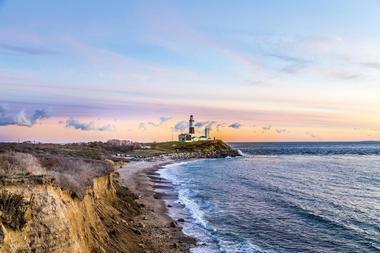 The Long Island town of Montauk is a laidback seaside town where visitors can relax and take in their surroundings. Seal watching is a popular reason tourists come to Montauk as these entertaining creatures frequent the shores of Montauk Point State Park. Several lifeguarded swimming areas are available, including a pool beneath a waterfall. Amenities and activities at the park include playgrounds, a swimming beach, picnic tables, fishing, and hunting. Visitors can reserve sheltered pavilions for private parties and events. 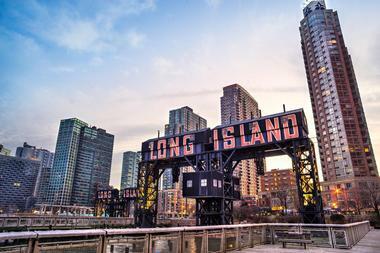 A popular escape from the hustle and bustle of New York City, Long Island offers a quieter, more laidback way of life and plenty of things to do for tourists. 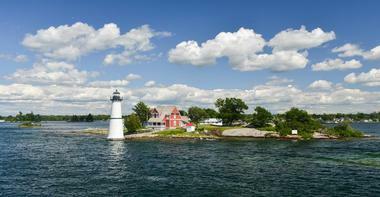 Popular summer resorts line the shores, along with windswept dunes and old whaling and fishing ports. 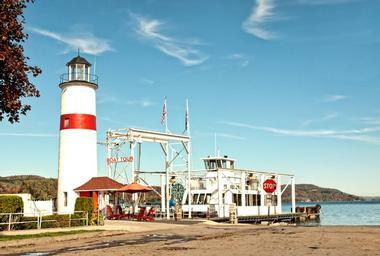 There are many parks, family farms, museums, and beaches, making Long Island a popular destination for families. 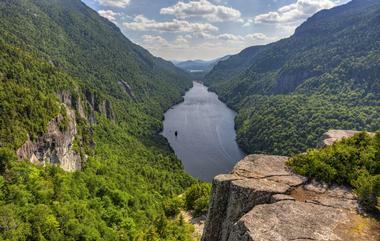 The Adirondack Mountains is a mountain range in upstate New York containing more than one hundred peaks at heights ranging from just over 1000 feet to over 5000 feet high. 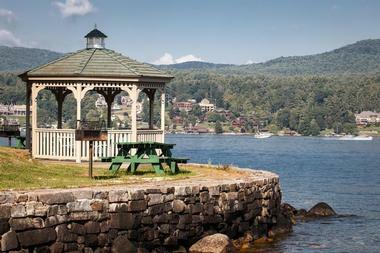 The area really shows off its splendor in the fall, when the changing leaves are at their peak, but year-round activities make the Adirondacks a great place to visit at any time of year. 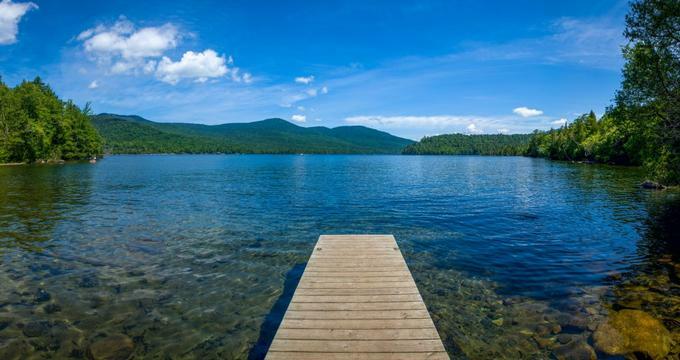 Hiking, canoeing, and camping are some of the most popular activities and many of lakes are good for fishing and boating as well. However, if you visit during the colder months, the several ski resorts and Nordic ski trails provide plenty of winter fun. 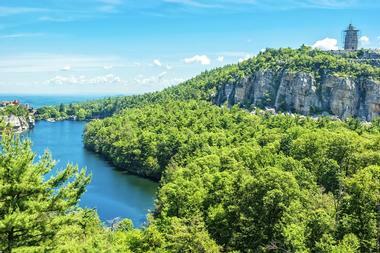 The Mohonk Preserve is a large nature preserve with 8,000 acres of forests, cliffs, and streams to explore. The preserve contains more than 40 miles of trails and over 70 miles of carriage roads that are available for multi-purpose use. The trails are perfect for hiking, trail running, cycling, Nordic skiing, horseback riding and more. Onondaga Lake Park is a park on the banks of Onondaga Lake near Syracuse. The park includes miles of shoreline where visitors can have a picnic and relax by the lake. 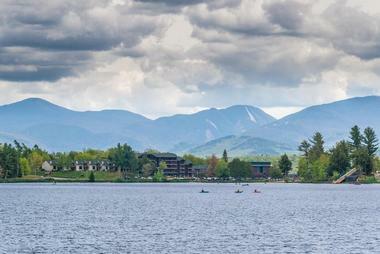 It also offers many activities such as boating, bike rentals, in-line skating, and more. Paved trails traverse the park for visitors’ use and the Shoreline Walking Trail is a two-mile walking and running path that only allows foot traffic. The East Shore Recreation Trail allows bicycling and in-line skating while the West Shore Trail passes through more nature and is perfect for outdoorsmen. The park includes a dog park, skate park, and a visitors’ center as well as a marina with a paved boat launch. Ellis Island is located in New York Bay and was the spot where over 12 million immigrants entered the United States from Europe and the rest of the world. 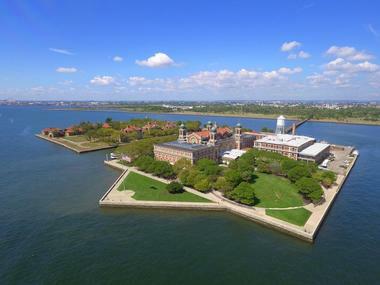 The island is part of the Statue of Liberty National Monument and is home to a museum of immigration. The museum tells the stories of the immigrants who came to America for a better life and the workers who took care of immigration processing and kept Ellis Island running. The vast museum collections display historical artifacts from both Ellis and Liberty Islands in interactive and informative exhibits. 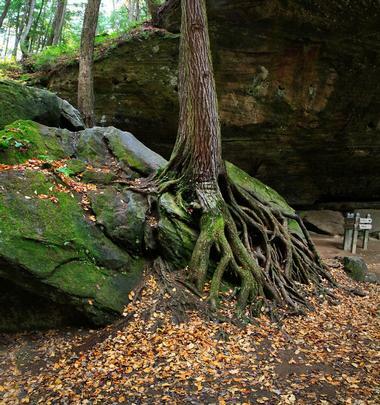 Panama Rocks Scenic Park is a park with impressive rock formations located in Chautauqua County. The rock formations are surrounded by a one-mile hiking trail and visitors are permitted to go off-trail and explore on their own. The woods contain many caves, crevices, and passageways for visitors to discover. 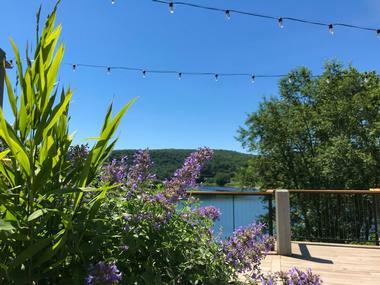 The park is located only 15 minutes away from Chautauqua Lake and visits to both places could easily be combined into a day trip. The park is a great place to spend time in nature but is only open seasonally so it’s recommended that visitors check the website before making the trip. 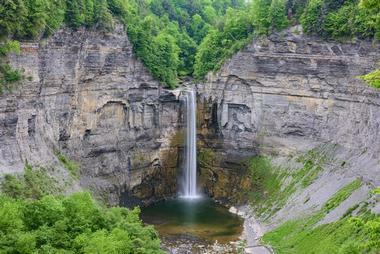 Taughannock Falls State Park is a natural attraction centered around the waterfall of the same name. Taughannock Falls is an impressive 215-foot-tall waterfall viewable from hiking trails through the gorge and around the rim. Cayuga Lake is also part of the park and features a full-service marina with boat launches and a beach nearby. The park’s trails are popular for hiking in the summer and can be used for cross-country skiing in the colder months. The trails pass many natural skating ponds and sledding slopes for added winter fun. Campsites and cabins are available for overnight rentals. The City of Niagara Falls sits on the banks of the Niagara River across from the city of Niagara Falls, Canada. The main tourist attraction is the waterfall that shares its name with and connects the two cities. In addition to the iconic waterfall, the city of Niagara Falls also boasts several casinos. The Seneca Nation runs the Seneca Niagara Casino & Hotel, which features 99 gaming tables and 4,200 slot machines as well as the biggest hotel in New York State outside Manhattan. The Niagara Science Museum is a more family-friendly attraction featuring exhibits of scientific instruments dating back to the 1700s. 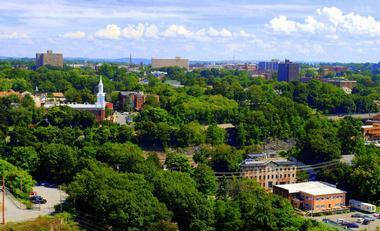 Poughkeepsie is the largest city in the Hudson Valley and a good place to delve into the history of the region. 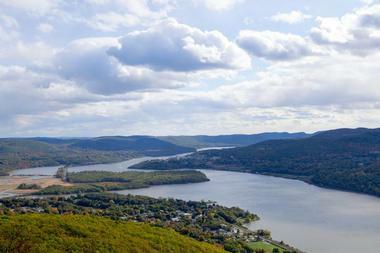 Many visitors come to visit Springwood, the home of Franklin D. Roosevelt and the FDR Presidential Library and Museum. The many historical places near Poughkeepsie include Locust Grove, which is the estate and home of Samuel Morse, and the Bardavon Opera House. The opera house still hosts performances in this interesting, 1869 building. The city has many green spaces as well as the popular Walkway over the Hudson, which is the longest footbridge in the world and crosses the Hudson River from Poughkeepsie to the town of Highland on the other bank.